The 12th century Cistercian monk Bernard of Clairvaux said that “the road to hell is paved with good intentions.” Despite good intentions, many organisations make bad interventions that lead them where they really don’t want to be. The best organisational interventions focus on reducing risk and maximising leverage – freeing up and engaging the skills, capabilities and capacities of the people in the organisation to improve things for themselves. In Victorian times, the “Three R’s” referred to the basic skills children learned at school – Reading, wRiting and Reckoning – or in later versions Reading, wRiting and aRithmetic. The corresponding “Three R’s” of bad interventions are Reorganisation, Regimentation and Retraining. 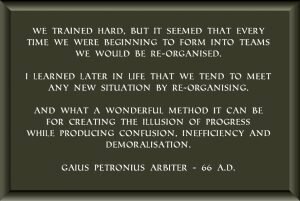 Following a tradition that stretches back at least to the Roman Empire, some organisations meet each new challenge by reorganising. Then, when the reorganised organisation continues to underperform, it gets reorganised again. 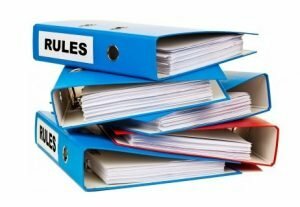 Other organisations approach new challenges by publishing extra rules, policies and procedures. These add to the existing collection of rules, policies and procedures that people don’t currently follow anyway. If the organisation discovers that people are ignoring the rules, it ‘encourages’ people using ‘carrots & sticks’ – various forms of extrinsic reward & punishment that motivate through compliance. When they focus on extrinsically motivated compliance, organisations forfeit the opportunity to build the kind of intrinsically motivated commitment that’s at the heart of innovation and agility. 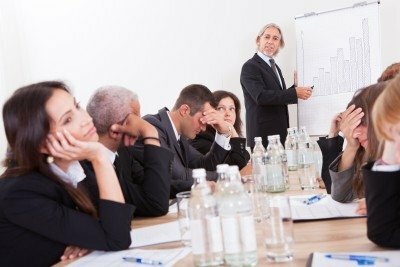 The other way organisations approach new challenges is by rolling out company-wide retraining (often called ‘learning and development’). There’s nothing wrong with learning, or development, or even training – in the right contexts. But far too often, training suffers from the sheep dip phenomenon: people get dragged away from their real work, immersed in the latest ‘solution’, pop up on the other side, shake themselves off and go back to what they were doing before. 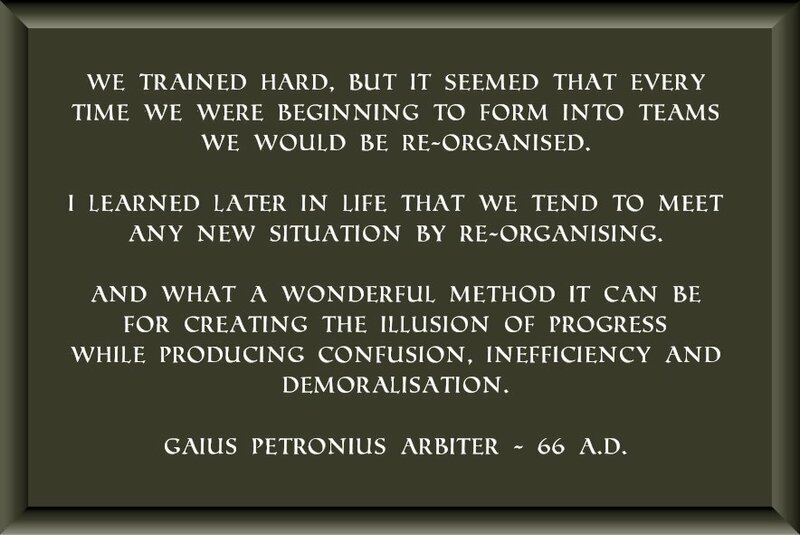 A few weeks after the latest wave of reorganisation, regimentation or retraining has rolled on through, things drift back to ‘normal’ and the symptoms of the original problem return, stronger and more deeply rooted than before, accompanied by their friends, in the form of new compounding side-effects. Two more bad interventions that organisations often make in their efforts to build an innovative agile organisation are: i) publishing mission, vision and values statements, and ii) hiring an executive coach “to align the top team”. Find out more about why these fail in this short video.